VertexFitness | Do you know your WHY ? Do you know your WHY ? Three big holidays of the year are fast approaching: Thanksgiving, Christmas, and New Year’s Eve. And we all know what that means: feasting on prime rib, roast turkey, honey-baked ham, starchy potatoes, stuffing, and sugary desserts. And don’t forget those glasses of Cabernet, ales, and cheese platters. Eating is a part of our culture. It brings families and friends together, and makes us feel good. But for those who are struggling with their weight, it can be a time for apprehension. Abandoning restraint at the dinner table this holiday season can set a dieter back a couple of months, leading to discouragement and diminishing the chances for successful weight loss. So what should you do? It all begins with the mindset. The answer is finding your WHY. If you have a clear, attainable, and realistic answer to this question, you are much more likely to stick to your health routine. You will put time into prepping your food, you’ll put time in at the gym, and you’ll motivate yourself to push that extra mile even when you want to give up. It will make a world of difference. If you don’t know what your ‘Why’ is, chances are you will start a health and fitness routine and be able to stick with it for a few days, maybe even a few weeks, but if you don’t have that motivation to push you through, you will end up slipping up and quitting when the going gets tough. Losing weight takes a lot of effort! You need to have the motivation to push through and reach your goals. What is compelling enough to get you moving on a regular basis, for the rest of your life? What is going to keep you motivated and keep you on track? Find that visual image of what you want to be or accomplish and lock in on it. What do you want to accomplish? i.e. more energy, play with kids, run a 5k, half-marathon, etc. What is compelling enough to get you active and keep you active throughout your life? i.e. good health, lower blood pressure, ward off type 2 diabetes, etc. What is your visual image of what you will look like once you reach your health goal and are consistent? i.e. better posture, less body fat, healthy, and vibrant. What is your reward? i.e. a better looking body, lower stress levels, and more energy. Find some quiet time to create a clear picture of what moves you, and create a road map on paper to accomplish your goals. Write down all of your compelling reasons why it’s important for you to reach your health goals, workout, get in shape, and stay in shape. 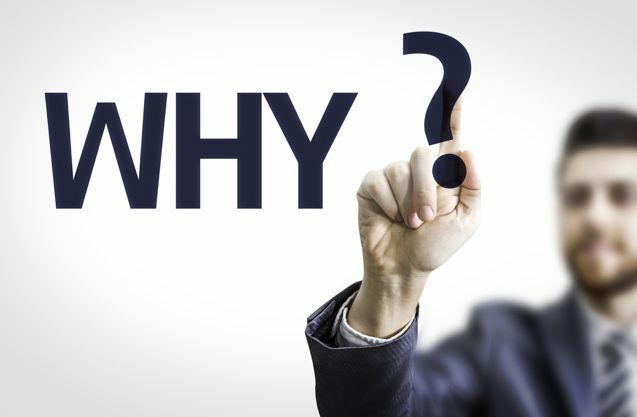 Writing down your ‘why’ will also help you form a concrete reason. Sometimes it may be hard to just visualize it. If you can write it out it will help you form your ‘why’ in a permanent form. Create a visual board of motivation with inspiring quotes, pictures, and rewards for when you hit goals. Once you have this list completed post it on the fridge and review it daily. Short term goals like losing weight for an event or getting in shape for a reunion are great but they don’t last or shallow goals like I want to look good are not compelling enough to keep you consistent and create a yo-yo effect with our bodies. Chapter 2 in my book Small Steps to Slim helps you create your WHY and your vision. My book provides you with an almost effortless approach to change your lifestyle that is achievable by even the busiest of women. It breaks the process into simple steps so that you don’t feel overwhelmed or frustrated. And it’s a quick read so you can get started today with the program. Share with me: what’s your why that’s going to keep you motivated and on track?